"A dark and densely packed chunk of pulp fiction." 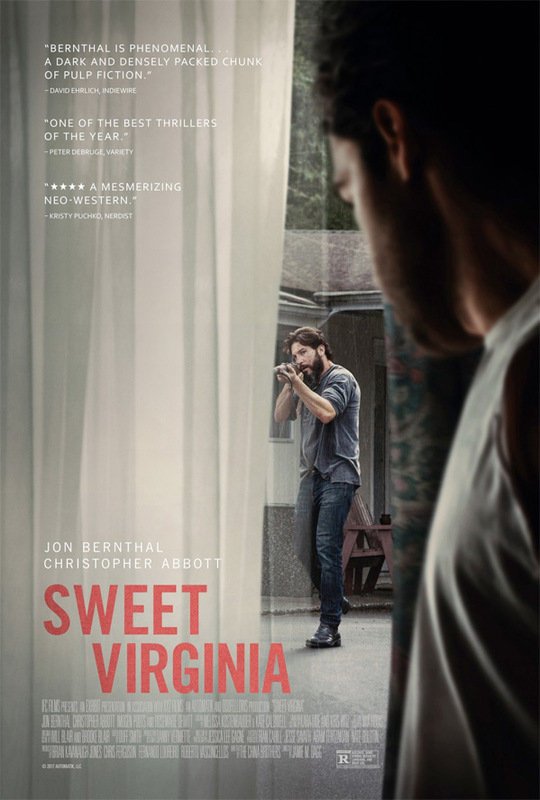 IFC Films has debuted an official trailer for an indie drama titled Sweet Virginia, starring very talented actors Jon Bernthal & Christopher Abbott. The story follows a former rodeo star (Bernthal), with a small time life, who unknowingly starts a rapport with a young man (Abbott) who is responsible for the violence that has suddenly gripped his small town. Every character from his loved ones to his business patrons, plays a part in the unraveling of this community. He must face his relationships of past and present to come up against this unpredictable predator. The film premiered at the Tribeca Film Festival, and played at a few other fests this year. The cast includes Imogen Poots, Rosemarie DeWitt, Jared Abrahamson, and Odessa Young. Give it a look below if you want. A mysterious stranger sends shockwaves through a close-knit community in this nerve-jangling slice of raw suspense. 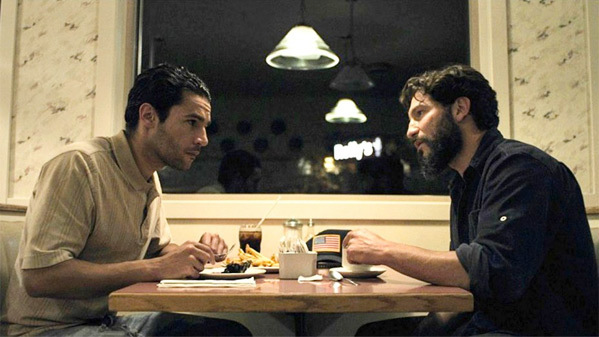 In the wake of a triple murder that leaves the residents of a remote Alaskan outpost on edge, tightly wound drifter Elwood (Christopher Abbott) checks into a motel run by Sam (Jon Bernthal), a former rodeo champion whose imposing physical presence conceals a troubled soul. Bound together by their outsider status, the two men strike up an uneasy friendship—a dangerous association that will set off a new wave of violence and unleash Sam’s darkest demons. Driven by tour de force performances from Christopher Abbott and Jon Bernthal, this precision crafted thriller pulses with an air of quivering dread. Sweet Virginia is directed by filmmaker Jamie M. Dagg, of the film River previously. The screenplay is written by Paul China and Benjamin China. This first premiered at the Tribeca Film Festival earlier this year. IFC Films will release Sweet Virginia in select theaters starting November 17th this fall. Interested?